Testosterone is a hormone normally associated with men, but this necessary hormone is present in both males and females. When testosterone is metabolized in our bodies, it can create DHT (dihydrotestosterone), and it’s this compound that can directly affect hair follicles by increasing inflammation which over time can lead to thinning and even hair loss. As part of our effort to treat the whole person and get to the source of the problem, Lindgren Functional Medicine is proud to offer a complete hair care line that has been clinically proven to block the DHT hormone, allowing for decreased inflammation in the hair follicle and leading to new hair growth. How can hair care products block the DHT hormone? These patented products are infused with an intensive oil blend, which is infused in all our hair products and an independent study conducted by Princeton University has shown this oil blend is proven effective in blocking DHT. Every product in this hair care line includes eleven unique ingredients comprised of vitamins, minerals, antioxidants, beta-carotene and omega-3 fatty acids, that together, mimic the body’s natural oils and balances pH. *UVA/UVB absorber that helps protect hair pigment (color) from sun damage. Luxury Hair Care at your fingertips! We carry 29 topical naturally based products, and each is infused with this proprietary intensive oil blend. We offer products to help with Hydration, Volume, Triple Max strength for several balding issues and a complete line for men including shaving lotion, after shave/moisturizer and 2-in1 shampoo/conditioner that’s invigorating! We also offer a complete line of styling options like mousse, root lifting spray, thickening spray, a fabulous rice powder dry shampoo and the first non-alcohol hair spray on the market. Lindgren Functional Medicine also carries Intensabeads that repair damage and mend split ends in 1 minute, as well as oral supplements rich in B Vitamins and Biotin for optimal hair skin and nail health, and a hair care line for children as well. We carry products that are gluten free, vegan and are FREE of phthalates, PEG/DEA/MEA, sulfates, parabens, harsh salt systems, harmful colors and fragrances. No petroleum or silicone based products prevents build up keeping hair feeling healthy, weightless increasing shine and color retention! Free consultations include hair and scalp analysis, testing of petroleum/silicone build up, product samples, treatment plan and education. Call or request here for appointment with our clinical hair specialist. Rob Tagatz has 15 years of experience as a Licensed Cosmetologist and currently has his own private studio salon in De Pere, WI. He has trained in New York City, California and has worked as a stylist in Chicago prior to opening his own private studio salon in 2011. He also is an inventor, holding a utility patent on a barber cape used by Celebrity Barbers in the US, UK and AU. 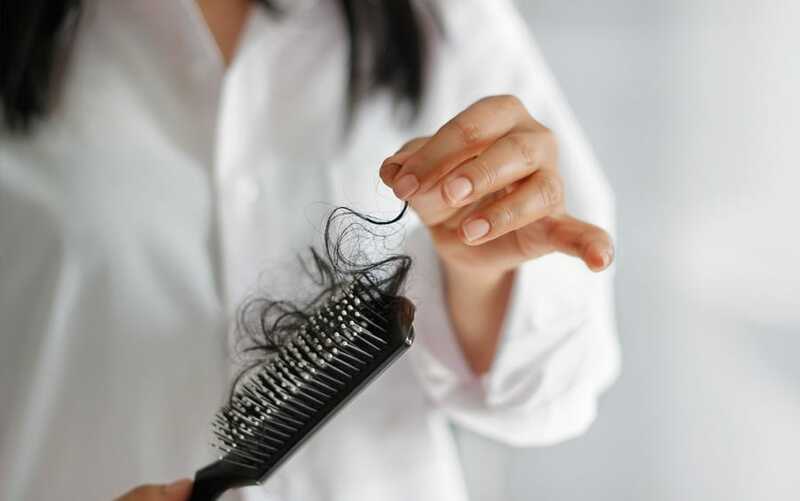 Years of working behind the chair for 15 years he has seen a progression of hair thinning, loss and how hormones and environmental issues play a role in hair growth. His passion is to educate his clients and others on the importance of healthy hair practices and why it’s so important to balance those practices inside and out. Joining Lindgren Health gives him the ability to help in both aspects by providing the topical component of that balance.